1) Combine the milk and breadcrumbs in a small bowl and set aside. 2) Whisk the egg, salt, pepper, Parmesan, and parsley in a large bowl until blended. 3) Add the pound of ground meat to the egg mixture. 4) Add the prepared onions, garlic, and now soaked breadcrumbs to the large bowl with the meat and egg mixture. 5) Mix all of the ingredients in the large bowl together thoroughly, pinching the meat between your fingers. 6) Pinch off pieces of the meat mixture and roll it between your hand to form 1 to 1.5 inch meatballs. Continue doing this until all the meat is rolled. 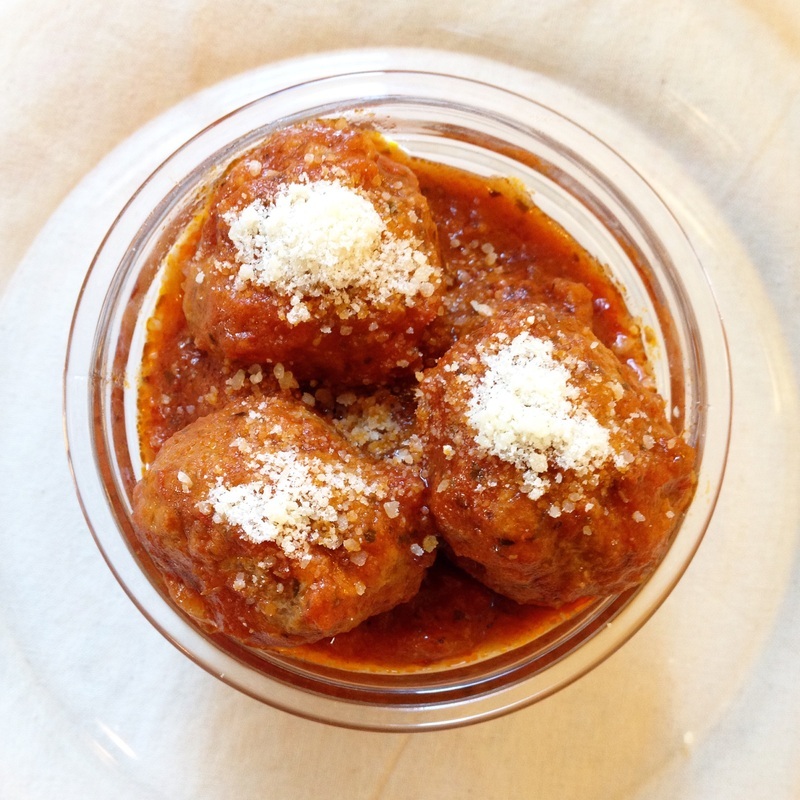 7) Bring a large pan of marinara sauce to simmer and add in as many meatballs as will comfortably fit. Cover and simmer for 30-35 minutes until the meatballs are cooked.